Pink Ink and Polka Dots: I Have A Blog Button! Don't you love it? 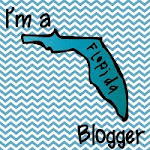 My new blog button is the bomb, diggity, bomb and I have Emily over at http://www.blogaholicdesigns.com/ to thank. She is an amazing designer and I loved working with her to find the perfect blog button for both of my blogs. If you are looking for new designs then check her out. You can check out my mommy blog button over at Pinks My Ink. Here is my faithfulinfirst button, be the first to grab it! I added and blogged about it in my new video tutorial! :) Love it!